Miracles at First Child Care Centre is a not-for-profit, licensed New Brunswick Designated Early Learning and Child Care Centre founded by First Baptist Moncton in 1991 in response to a need in the community. Miracles provides quality child care that introduces children and their families to God and His love in a nurturing and loving setting. The goal of Miracles is to meet the spiritual, physical, emotional, and developmental needs of children, regardless of gender, race, religious, or political beliefs. The dedicated staff of Miracles at First display caring, kindness, patience and knowledge as they maintain a happy and pleasant environment for the children entrusted to their care. Safety, quality of care and Christian principles are the primary concerns in all decisions. Miracles at First has earned a strong reputation within the city for providing quality child care by well-trained, qualified and dedicated staff. The Centre is located in the Christian Education Building of First Baptist Moncton, and is fully independent in its operation and financial management. Miracles at First’s affiliation with the Church assures stability of operation and consistency of service in meeting its mission. 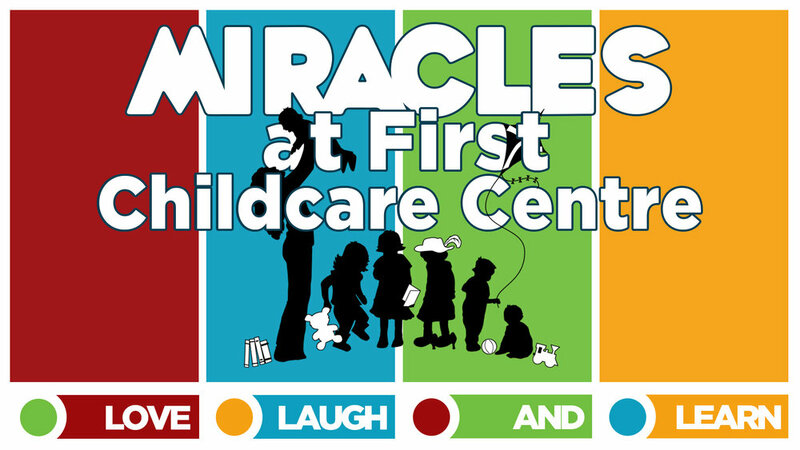 Miracles at First Child Care Centre operates Monday to Friday from 7:30 am to 5:30 pm for children from 6 months to “preschool”. For more information, please contact Miracles at First. For more information, visit the Miracles at First website. "Train a child in the way he/she should go, and when he/she is old he/she will not turn from it."